Get Right Into the Fast Lane Here! 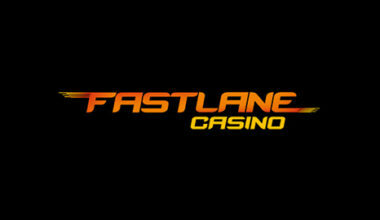 Fastlane Betting has been online since the year of 2013 and it comes under the ownership of Playbay Limited. Therefore, it’s had a few years to establish itself as a decent online casino platform. It not only provides gamers with a great location for casino games, but also for sports betting and more. Players will find that the site is the holder of a gambling licence from the Curaçao eGaming company. This means that it adheres fully to regulations and fair gaming laws. However, with this being the only licence it holds, it means that players from the United Kingdom cannot register. The United States is also unable to do so. However, those players who are able to register their details can look forward to an exciting platform. The games available there are accessible in both instant play and mobile versions. 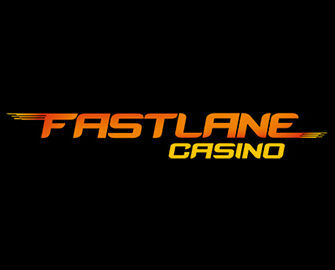 Visiting the homepage of Fastlane Betting Casino will present you with a dark layout of blacks and greys. In the top left of the website is the site’s logo. Below this, you will see the site’s navigation bar. With this, you can navigate between the different gaming platforms, including the poker site and the sports platform. Recent winners can be seen underneath this, while next to it there is a scrolling banner. This shows some of the newer games and some intriguing promotions available to you. Finally, below this is the actual game lobby, which automatically shows the most popular games to you. A category menu down the left hand side of the screen will allow you to see the various different game genres. You will be able to visit a ‘Promotions’ section of the website in order to view the special offers available to you. Of course, the first of these offers is available to you as a newcomer. So, once you have gone through the registration and verification process, this is open to you to claim. You’ll need to make a deposit into your account first, but following on from this, you’ll be given 100% bonus funds on top. This has a maximum value of €100. When you compare this to what is available at other online platforms, it doesn’t stand out as being anything ultra special. 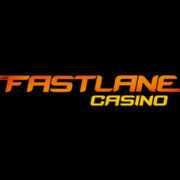 However, there are further promotions that you can claim as a regular player at Fastlane Betting Casino. You’ll find that the promotions section also provides details on sports betting rewards, so you’ll need to sort through what’s there to find the right options for you. Furthermore, if you keep a close check on your email inbox, you’ll find that there are special offers sent to you directly. 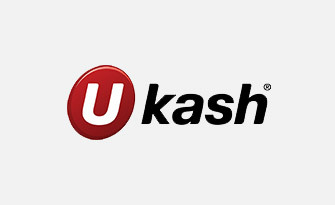 These include additional bonuses on top of deposit, intriguing cashback offers and, sometimes, possibilities of freespins as well. While the casino has been online since 2013, it still only maintains games from two different software providers. These exist in the form of Netent and Nyx Interactive. However, don’t let this be any kind of dissuasion to you joining. They are two of the biggest names in gaming products, meaning you’ll have access to quality and quantity at the same time. You can find all of the offerings in the game lobby and it’s the ‘Video Slots’ category which is the largest. There, you will be able to find and play such games as Magic Portals, 300 Shields, The Wish Master and Aliens. One thing that’s missing from the lobby is a convenient search bar. It would be ideal if you want to look for a specific game. Also, there aren’t any progressive jackpots available either. Any fans of table games will also be able to access a decent range of these types of games. This includes such options as Blackjack Single Deck, Oasis Poker Pro and American Roulette. And don’t forget about the ‘Video Poker’ offerings either. It’s there that you’re able to find an larger range of games than standard, offering up multiple variations of All American, Deuces Wild and more. Finally, there’s a ‘Lottery & Other Games‘ category, featuring six different games. This includes options like keno and bingo. It’s a little bit unfortunate that the platform doesn’t provide any details on the types of payment methods available to use. Nothing is seen until you access the actual cashier. However, there is the chance of being able to use either Visa or MasterCard credit or debit cards. These provide the first option. Additionally, you can use eWallets in the form of NETeller or Skrill to fund your account with. Finally, Paysafecards are also available to use, although these provide the only method that you cannot withdraw winnings by. This casino has some nice offerings, although it could also do with working on certain areas as well. For example, its special offers aren’t altogether hugely intriguing. Meanwhile, the support options are fairly uninspiring as well. However, it has a nice range of games on offer in several categories as well as a visually appealing website.